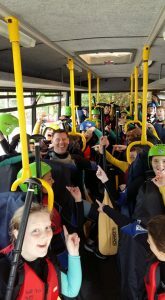 Group Adventure Days With Splash White Water Rafting. 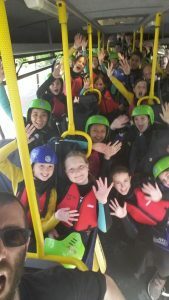 We love groups of adventurers here at Splash, over the years we have catered for many different groups. The groups we have worked with over the years have been diverse (Group size, Group purpose, logistics, etc ). We can provide activities, accommodation and transport as required with many other add-ons like food etc accessible to us by our excellent local partners. You’re looking for fun, fun, fun then we have you covered. Be it a weekend in Edinburgh with accommodation and transport or a weekend in Aberfeldy (Splash HQ) with one, two, three or four activities. 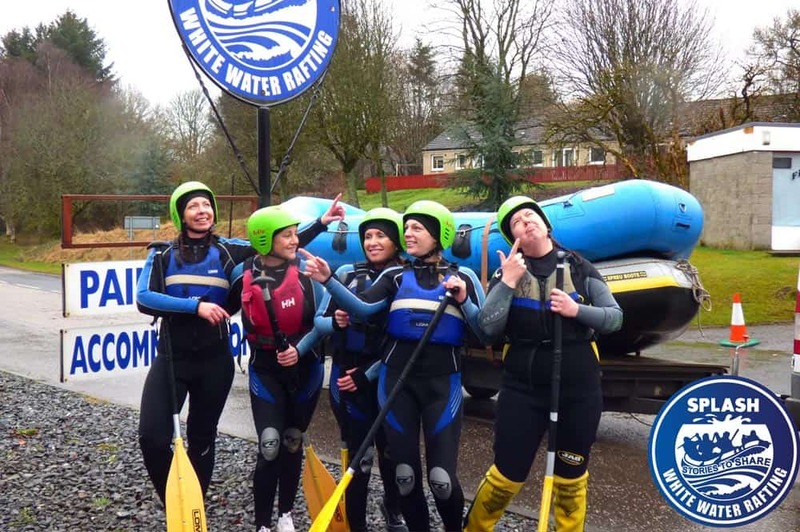 Or a weekend in Glasgow with accommodation and urban adventures like white water rafting, river bugs and bungee jumping all in the Glasgow area. Or if you want a weekend in a Bunkhouse with fire pit, BBQs, spectacular scenery and days filled with quad bikes, paintball, rafting and more. We have you covered. Splash loves Stag Dos and Stag dos love Splash. Check out our Stag Do Packages here. Over the years we have worked with numerous charities providing an excellent platform to build awareness, participation and much-needed funds. From white water raft races to long distance endurance activities. We are trusted time and time again by charities like Kidney Research UK and BLESMA – Let’s see how we can accommodate your group and build a package to build interest and awareness to increase your charity funds via mass participation. For more Charity info click here. Young folks need adventure in their life, especially in today’s digital age. Getting outdoors and experiencing adventure first hand is such an important aspect of growing up that most of us took for granted when we grew up (Sorry I am showing my age). 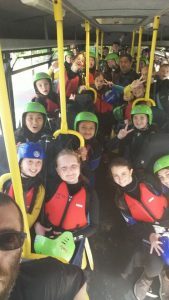 We can provide everything from a half day activity like rafting in the heart of Glasgow or on the River Tay to a full week of activities and accommodation. The great outdoors and adventure should be for everyone. Formore information on our School packages click here. A simple weekend adventure break for your group be it family, friends, corporate etc. We have an excellent range of Activities, Accommodation offers. For our latest accommodation offer click here. We were recently featured on the BBC Landward programme when we took a partially sighted and deaf BBC presenter down the river. We have much experience working with all forms of disability with charities like BLESMA as well as on an individual basis. 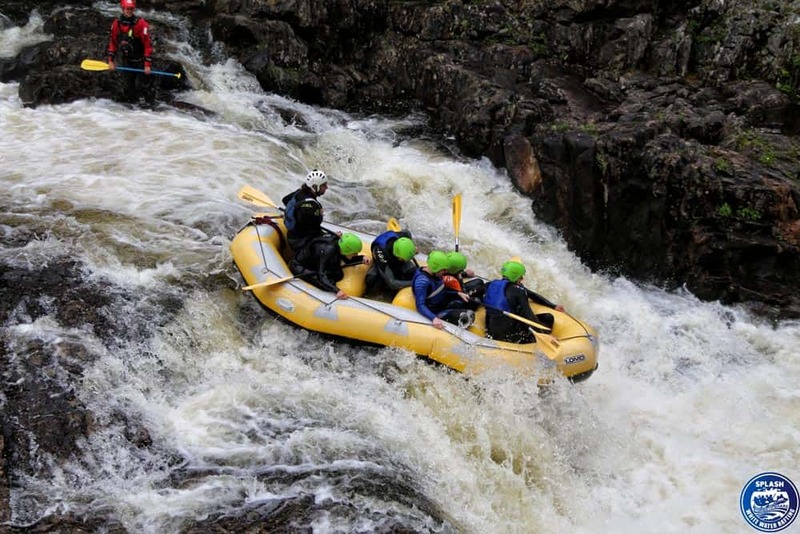 Contact us to see how we can help your group get some adventure. If the sort of Group Adventure Day that you are looking for is not listed then contact us and we will be more than pleased to work with you to create the sort of package that you require.